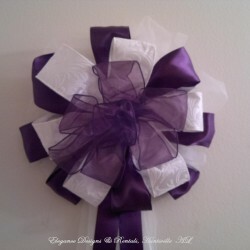 Our Satin Wedding Pew Bows are approximately 10 – 12 inch wide with multiple sets of tails. 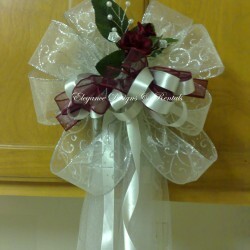 Larger bows are perfect as window, door and arch decorations. 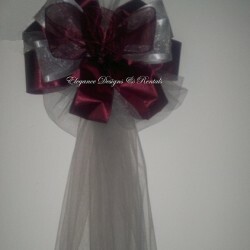 Select a bow to view pricing. 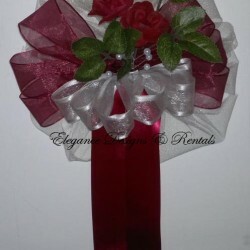 Shipping is available for purchases and rentals.